Has work, family, or another major life change got you packing your bags and moving from NJ to Myrtle Beach? Although it may be tempting to try and save money by moving to another state by yourself, you could be setting yourself up for disaster. Don’t risk damaged furniture, broken knickknacks, and a prolonged moving timeline if you don’t have to. Instead, put your trust in a team of BBB accredited movers who have been providing expert moving services to residents throughout New Jersey since 1977. 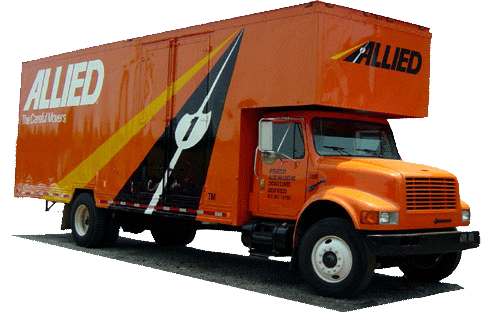 We can help you move to Myrtle Beach, but we can help our clients move anywhere in the United States because we are an agent of Allied Van Lines. No matter where life takes you, we can connect you with a nationwide network of hundreds of moving professionals all across the country. Even the smallest residential moves require finesse. No matter what your needs, it’s absolutely vital that you choose an experienced team that can handle your move, regardless of its size. All of our moves start with a free in-home estimate, so you can budget for our affordable services. Then, your very own Relocation Coordinator will be assigned to your move, providing you with answers to all of your questions. A quality moving company offers much more than boxes and a moving truck. Here at Simonik Moving & Storage, we also offer short- and long-term storage to residential clients who are looking to store their household items. No matter what it is you need to pack away, we carefully wrap everything and place it in containers that are designed for long distance shipping. You can trust that everything is well protected and ready for you to complete your New Jersey to Myrtle Beach move, even if your stuff has to hang out for a while until you’re ready for us to send it to your new location. Because we have decades of experience with residential and commercial moves, as well as specialty moving services, we are able to serve a wide variety of clients located throughout North and Central Jersey, including residents of Hunterdon, Mercer, Middlesex, Monmouth, Morris, and Somerset counties. There are many reasons to choose Simonik for you to move from NJ to Myrtle Beach, including our comprehensive services, but we also enjoy special recognition for leaders in the industry. We are a past recipient of the ‘Mover of the Year’ award from the New Jersey Warehousemen & Movers Association. We are also a ProMover member of the American Moving Storage Association. With so many professional associations, you can trust that we are knowledgeable in all the requirements needed to conduct a successful long distance move. Learn more about our services and request a free in-home estimate by filling out our online form. Your NJ to Myrtle Beach moving experience will be much smoother with the experts at Simonik on your team!